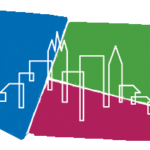 Community Planning Aberdeen has committed to using the Institute of Health Improvement (IHI) Model for Improvement to help deliver the improvement aims within the Aberdeen City Local Outcome Improvement Plan and Locality Plans. This model has been adopted by the Scottish Government for public service reform and is widely used across Scotland to make improvements in health and early years services. The learning events offered under this category are designed to provide training, guidance and support to staff across CPA to use the methodology for their improvement activities. The Model for Improvement is a framework designed to develop, test and implement changes that lead to improvement. The Model is used and endorsed by the Scottish Government and is credited with bringing about improvements in the NHS. It is being rolled out across Aberdeen City Council and Community Planning Aberdeen partners to create a city-wide culture of quality improvement and improve outcomes to the people of Aberdeen. This course is particularly useful if you are responsible for delivering improvements to your service but is open to anyone with a desire to improve services! You take what you’ve learned and apply it to your projects – and you’ll have access to a bank of coaches and an online community of improvement peers who can support you on your improvement journey! Bootcamps take place monthly. Sign up today using Eventbrite.